Come to visit 2019 ReChina Expo to see more products! Come to visit 2019 ReChina Expo to meet more exhibitors! 150 exhibitors took part in this session of ReChina Expo. They are all the leading and competitive manufactures in the industry, here just list but a few: PrinterMayin, Orink, MITO, A&G, i.AICON, Pointrole, Colorfly, Zhono, Amida, TCOA, Speed, Vivicolor, Mipo, Anpoll, Anycolor, Heshun, HYB, Polytoner, Huiatech, etc. 3D printing industry has been rapidly developing over the past years. New technologies and products becoming more and more widely used in various application industries. As many as 40 well-known enterprises in the 3D print industry like E-Sun, Shining, Flashforge and Hueway came exhibit with their newest technologies and products. More than 5000 buyers came from all districts of China and around the world to visit trade show. There were 510 overseas buyers from 50 different countries and districts, like United states of America, Canada, Germany, France, England, Swisland, Swedan, Ireland, Spain, Netherlands, Australia, Brazil, Mexco, Chile, Agentina, Columbia, Urugay, Japan, Korea, Russia, Ukraine, India, Indonesia, Malaysia, Vietnam, Thailand, Iran, Egypt, Jordan, United Arab Emirates, Australia, Janpan, Korea, Hong kong, Macau and etc. Visitors from home and abroad were satisfied with abundand supplies of technologies and products at the show. Most of them will come again to visit the future sessions of ReChina Expo. 2017ReChina Imaging Supplies and 3D Print Forum was held on May 24th in Shanghai World Expo Exhibition & Convention Center. Zhang Huijun, Secretary General of China Computer Industry Association Consumables Special Committee, delivered welcome speech. Eight experts and entrepreneurs, including Mr. Charles Brewer, American famous analyst in printing and consumables industry , Ms. Ou Yangyan, general manager of MITO, Professor Song Yanlin from Chinese Academy of Sciences, Professor Yang Weimin from Beijing University of Chemical Technology, Professor Yang Jiquan from Nanjing Normal University, and so on, all gave high level and profound speeches at the forum. 100 professionals from home and abroad participated. “2017ReChina Top50 Excellent Supplier” Awarding Ceremony was held in Shanghai World Expo Exhibition & Convention Center. Through nearly three years, 10 enterprises were voted as the first lot of top 50 winners. They are MITO, PrinterMayin, Orink, A&G, Pointrole, i.AICON, Colorfly, Zhono, Amida, and TCOA. 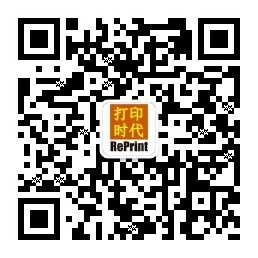 ReChina Top50 Excellent Supplier Contest aims to promote the industry development. We, the ReChina organizer, herewith like to express sincere thanks to all enterprises and professional from home and abroad. We wish you all the very best luck in your life and business! We hope to see you again at the next session of ReChina Expo!